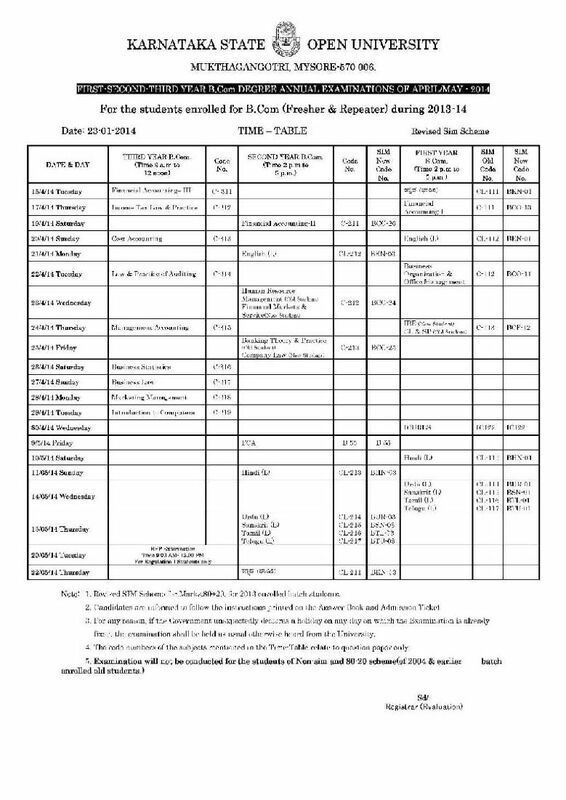 I am here by providing you the PDF that contain the Time table of M.SC. 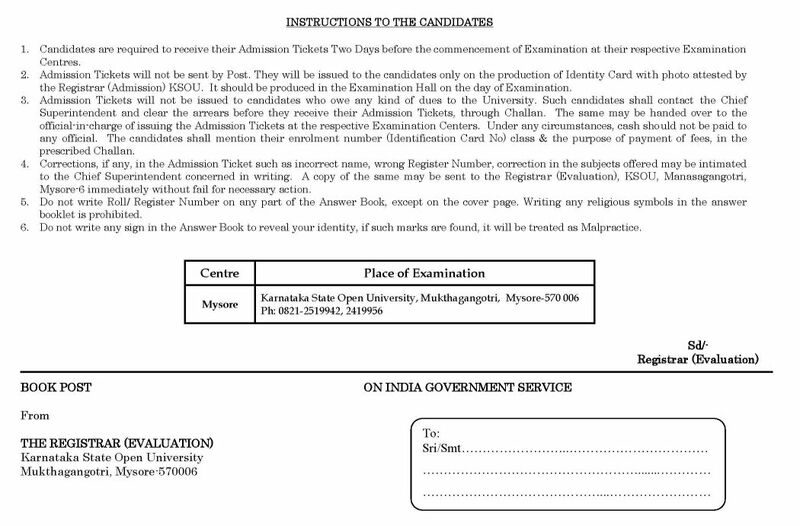 2nd semester examinations march – 2013 of Mysore Open University. Exam is started on 11-03-2013 & concluded on 15-03-2013. Last edited by Sashwat; February 12th, 2014 at 03:55 PM. 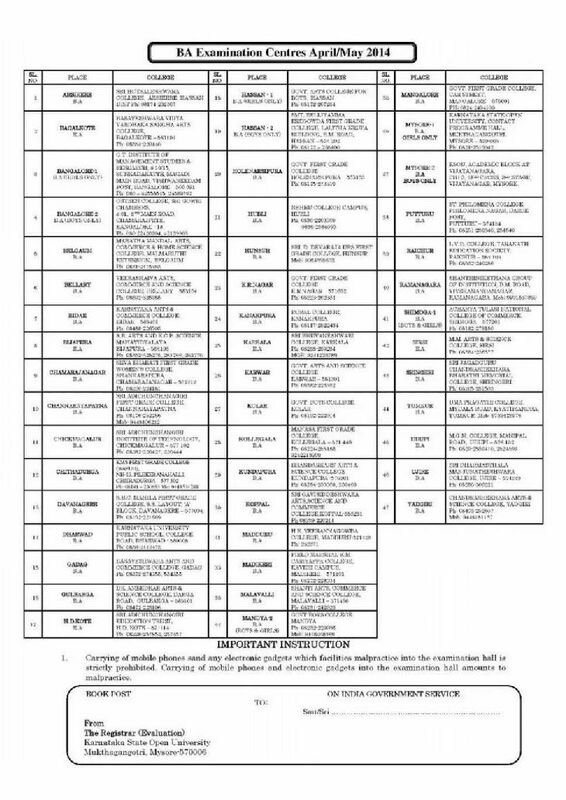 Can you please provide me BA Degree Exam time table of Karnataka State Open University, Mysore?? 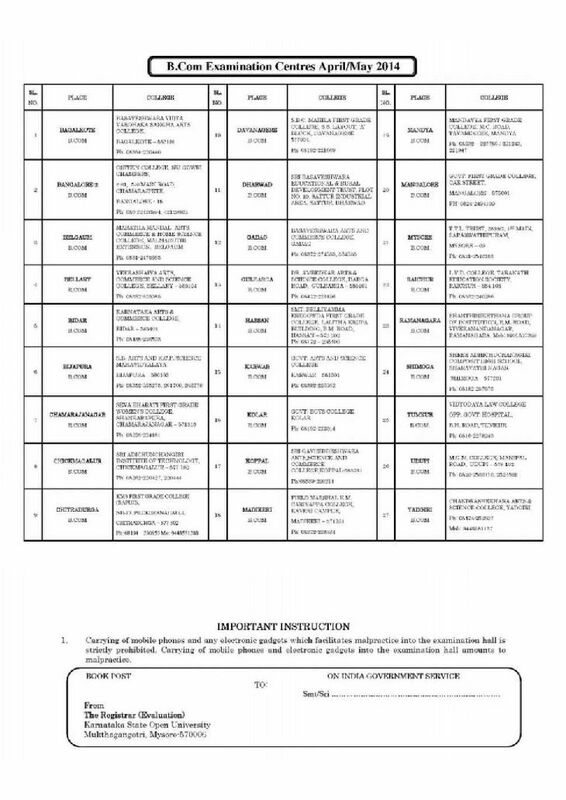 Can you please provide me BCom Degree Exam time table of Karnataka State Open University, Mysore?? 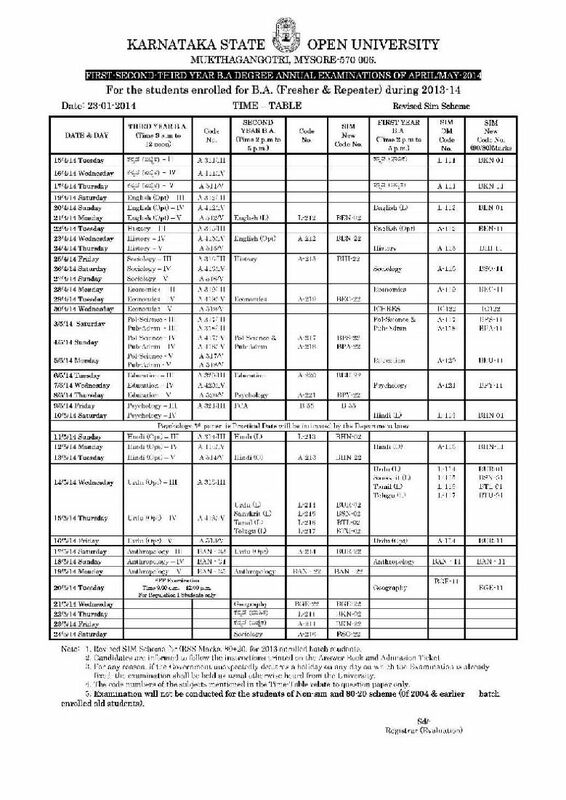 can anyone send me MBA exam time table for 2019 or earlier year since i want to know the no of days for examination.